With a sound combining beauty, clarity, and strength, Kirk Dougherty is one of the most exciting voices in opera today. His expressivity and commitment to both musical and dramatic interpretation has earned him continuous appearances as a leading tenor in opera throughout the United States and beyond. During the 2017-18 season, Kirk Dougherty makes his Piedmont Opera debut as Nikolaus Sprink in their production of Kevin Puts’ and Mark Campbell’s, Silent Night. He also debuts at OperaDelaware as Rinuccio in Gianni Schicchi and at Raylynmor Opera as Pinkerton in Madama Butterfly. He returns to Utah Festival Opera and Musical Theatre as the Count Almaviva in Il Barbiere di Siviglia, and to Wichita Grand Opera as Pinkerton in Madama Butterfly and as tenor soloist in their performance of Rossini’s Stabat Mater. He also sings two performances of Lucia di Lammermoor as Edgardo at Bob Jones University. Last season, Mr. Dougherty returned to Opera San Jose, performing the roles of Edgardo in Lucia di Lammermoor, Rodolfo in La bohème, Almaviva in Il barbiere di Siviglia, and Sprink in the Pulitzer Prize-winning opera by Kevin Puts and Mark Campbell, Silent Night. He will also be performing Rossini’s Stabat Mater with Sacramento Choral Society and Orchestra and the role of Rodolfo in La bohème with Wichita Grand Opera. He made his first appearance at Opera Las Vegas as the Duke of Mantua in Rigoletto. He also sang the role of Tamino in a concert version of Die Zauberflöte at Glacier Symphony. Dougherty’s first performances at Opera San Jose were part of their 2014-15 season, where he was seen as the Duke in Rigoletto, Tamino in Die Zauberflöte, and Philip in the world premiere of Where Angels Fear to Tread by Mark Weiser. 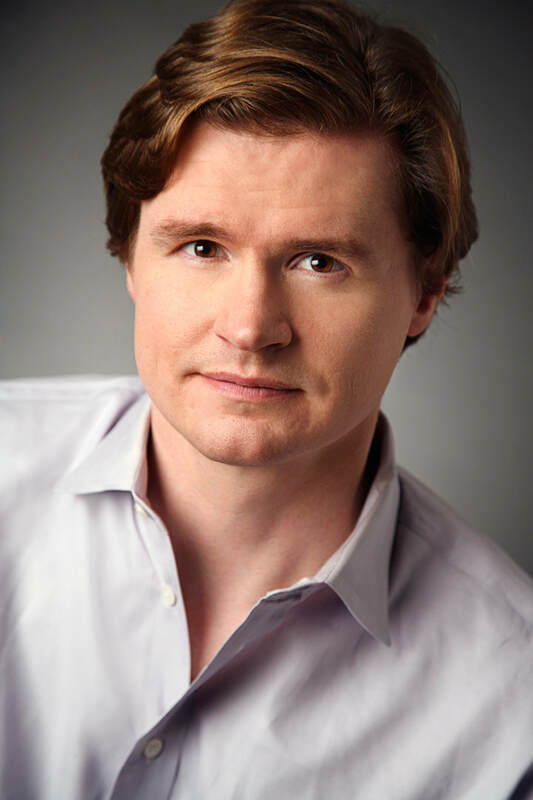 Mid-season, he performed the role of Pinkerton in Madama Butterfly for Anchorage Opera, where he previously sang the roles of Arturo in Lucia di Lammermoor and Joseph Treate in the world premiere of Victoria Bond’s Mrs. President. Previous seasons include his company debuts with Sarasota Opera in the role of Manrico in Il Trovatore, the American Symphony Orchestra portraying Aaron in Bruch's oratorio Moses at Carnegie Hall, the Glacier Symphony performing Mahler’s Das Lied von der Erde, Salt Marsh Opera as Ernesto in Don Pasquale, and the title role in Faust for Opera Louisiane. Additional roles performed include Hoffman in The Tales of Hoffman, Alfredo in La traviata, Nemorino in L’elisir d’amore, Ferrando in Così fan tutte, and Rinuccio in Gianni Schicchi at Tri-Cities Opera. A graduate of the Eastman School of Music in Rochester, NY, he has also participated in numerous young artist programs, such as Central City Opera and Utah Festival Opera and Musical Theatre, among others.